And if you are like me, lentils and butternut squash are always right too. So are all the veggies and the avocado. 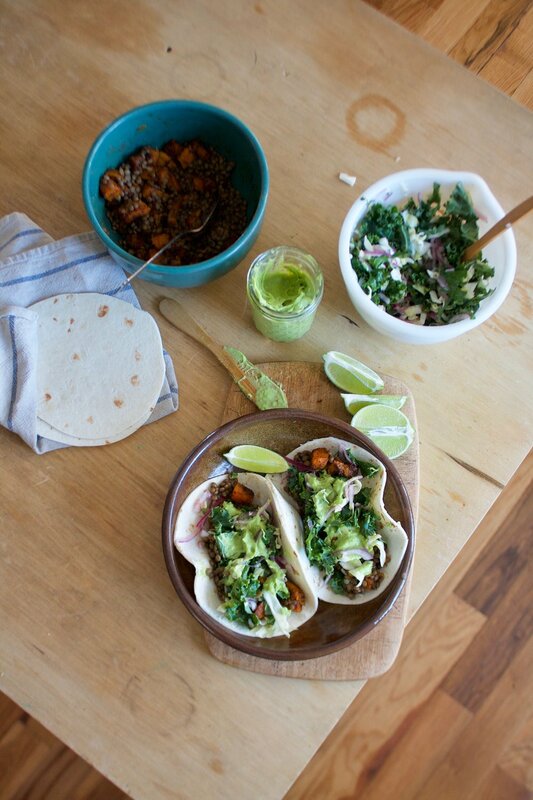 Together all this goodness makes for one amazingly fantastical, very right taco. We all need a little bit rightness in our lives right now. Why not start with dinner. The stuff. You got to get lenitls, butternut squash, cumin, chili pepper, salt and pepper, and olive oil. Also kale, red onion, cabbage, avocados, a jalapeño, limes, and garlic. And you need something to stick it all in, so flour or corn tortillas. Start with making the veggie slaw. Basic here, just chop up the kale, onion, and cabbage into small thin pieces. All that veggie goodness goes right into a bowl with a sprinkle of salt and the juice of a lime. Give it a good toss to coast it all and set aside to do it's magic. The longer it sits, the better it gets. Toss the squash in a drizzle of olive oil and the cumin and chili powder and a little salt and pepper. 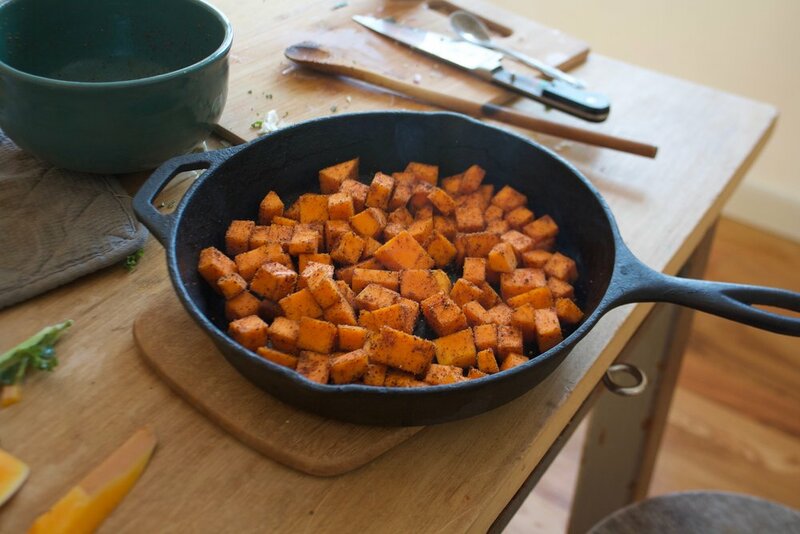 Raw squash goes into a preheated skillet (or baking sheet) and roasted until browned and tender. 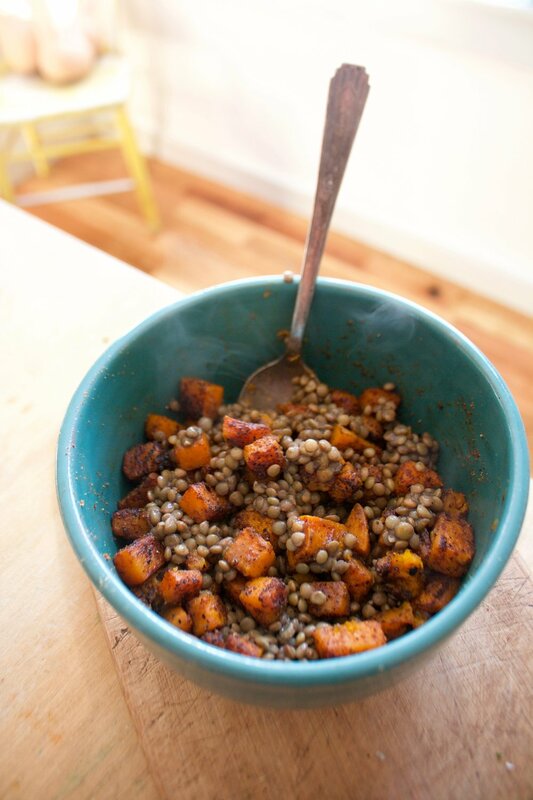 Squash meets lentils and it is good. So so good. And don't forget the jalapeño mousse. . Dice the jalapeo and the garlic and toss into a blender (or jar to use an emulsion blender) with the avocado, juice of a lime, a sprinkle of salt, and a little bit of water. A pillowy cloud of green goodness. You got all the stuff, you know what to do. Fact. Tacos = happiness. Now get on it. Grab the kale, cabbage, and red onion and thinly slice and dice into small pieces. Place into bowl, sprinkle with 1/2 teaspoon salt and add in the juice of a lime. Give it all a good mix around and set aside. Preheat oven to 450. Place your cast iron skillet or baking sheet in oven while preheating. Take squash, peel the skin off (if you want) and cut into cubes about an inch big. Place in a bowl and toss with a little olive oil and the cumin and chili powder. Sprinkle a little salt and pepper in and toss it all around. When the oven is preheated, carefully remove the pan and dump the squash in it. Evenly disperse the squash then place the pan back into the oven and roast squash until browned and tender, which takes about 25 minutes. When the squash is done, remove and dump into a big bowl along with the lentils. While the squash is roasting you can go ahead and make the avocado mousse. 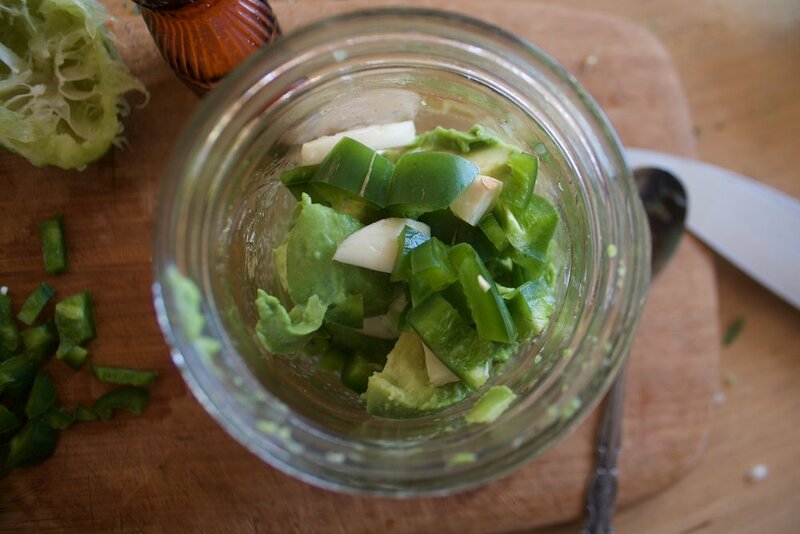 Scoop avocado fruit into a bowl or blender and add in the jalapeño (seeds and ribs removed) and the garlic. Add in the juice of a lime and 2 tablespoons water. Blend until smooth. Add in more water to thin out to desired consitancey. Now you have everything ready to taco. 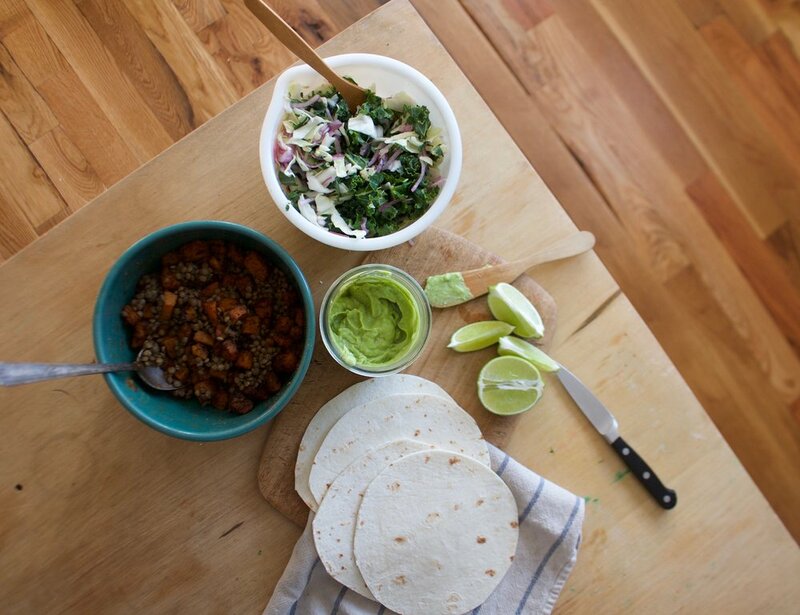 Grab your tortillas and heat them up if want and start to pile it all on. Lentil squash mixture, a good handful of the veggie slaw, topped with a dollop or two of the avocado mousse. Now you got yourself a taco and it's ready for your face.